The straight facts is if someone is going to be adjusting your spine, don't you want the most qualified expert available? 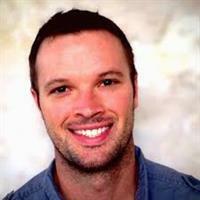 Dr.Cash Lewis, a Maximized living doctor is trained in the 5 Essentials, a complete, proven health delivery system that can help you change your life by priming your body to battle against disease. First and foremost, we correct your spine. Because the human body possesses a natural ability to heal itself, and this ability depends on a healthy nervous system. Safe, specific spinal correction allows your body to heal faster and can even prevent disease. Put your trust in one of the hundreds of experts within Maximized Living’s dedicated chiropractic network. We help your body heal—without expensive medication. Your spine provides a basic structure for the muscles and other parts of your body, performing several pivotal functions like support, protection and flexibility. 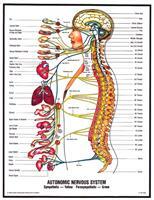 Nerves branching off the spinal cord also communicate with specific organs and regions of your body. For these reasons alone, your spine is key. When your spine is healthy, your body functions just as it was designed. However, when misaligned or damaged, the life-giving power of your nervous system is interrupted, causing painful symptoms and illness to pop up. Schedule an appointment with our Maximized Living chiropractor, who will help you achieve life-changing results from head to toe. We are located in the Uplands Village Shopping Center.